According to Direct Line Insurance, nearly 1.25 million speeding incidents have been recorded by the police between 2015 and 2017, and it works out at one motorists being snapped by cameras or caught by traffic police every 75 seconds. 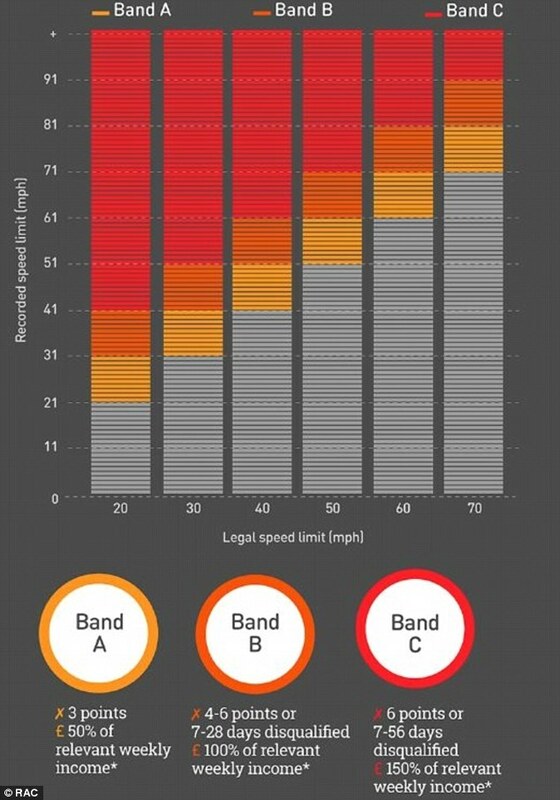 The figures have been split into the different speed limit zones and it highlights which one you’re most likely to get caught exceeding. Overall, 61 per cent of all speeding offences – which account for more than 700,000 cases in the last two years – were recorded in 30mph zones. The next most common zone for drivers to exceed the limit was 50mph (14 per cent of cases), closely followed by 40mph zones (13 per cent). Surprisingly, the chances of getting caught exceeding the limit on motorways is much slimmer. One in twelve (eight per cent) speeding incidents were recorded in 70mph zones, the insurer said. That said, motorway speeding fines are likely to increase this year and for those to follow with the wider use of ‘Smart’ motorways with variable speed limits and greater use of cameras. The data, which was provided by 35 of the 45 UK police forces following a freedom of information act, covered the period when speeding fine laws changed in the UK. As of April, drivers can receive anything from a fixed penalty notice fine of £100 and three points for minor offences to disqualification and costs worth 150 per cent of the offender’s weekly salary for the most extreme cases of exceeding limits. 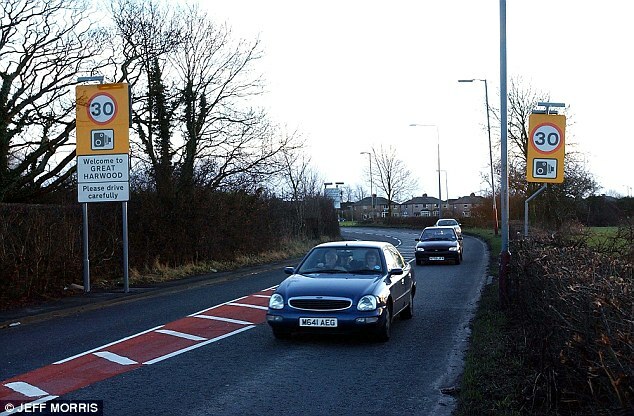 Penalties for minor offences can still be avoided if motorists opt for speed awareness courses, though they are only offered to drivers with no previous speeding offences or those who haven’t attended one of the educational courses in the last three years. According to the new statistics, drivers caught speeding in 40mph zones clocked the highest excess speed, with an average speed of 61.4mph recorded by police forces. That’s 52 per cent faster than the legal limit a speed that will see you punished in band B of the new penalty system, which would mean anything from disqualification for 7 to 28 days or 4 to 6 penalty points and a fine worth 100 per cent of your weekly income. Those exceeding the speed in national limit areas (60mph on a single carriageway of 70mph on dual carriageways and motorways) were travelling at an average of 88mph when the police caught them. That speed would be eligible for a band B offence on a single carriageway but band A on a multi-lane route. Rob Miles, director of car insurance at Direct Line, commented: ‘Speeding can kill, but people still drive far too fast on Britain’s roads, even in areas specially designated as lower limits because of the risk to pedestrians. The UK’s roads are the second safest in Europe, with only lightly-populated Sweden seeing less casualties, according to annual European Commission road safety statistics. Its preliminary findings for 2017 showed 27 deaths per million inhabitants on UK roads, compared to Sweden’s figure of 25. The UK figure compares to an EU average of 49 and is down 5 per cent on 2016 and 7 per cent on 2010. The insurance provider did point out that the total number of speeding incidents recorded fell year-on-year between 2015 and 2016, decreasing by five per cent from nearly 470,000 to 447,000. The greatest reduction was seen in the number of drivers caught breaking the speed limit in 50mph zones (15 per cent) and 30mph zones (nine per cent). 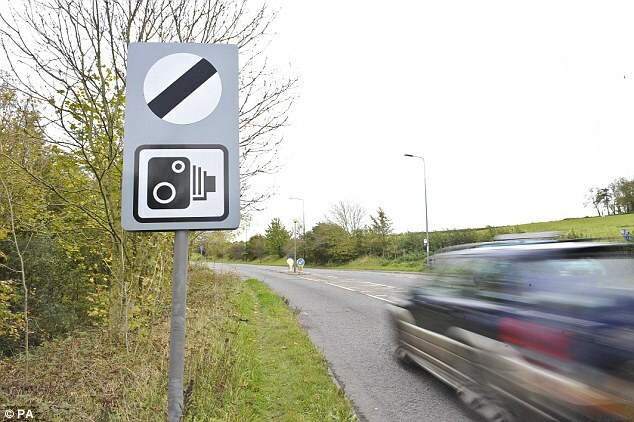 However, there was an increase in the number of drivers caught speeding in 60mph and 70mph zones, rising by 40 per cent and 56 per cent respectively, based on the data collated from UK forces.